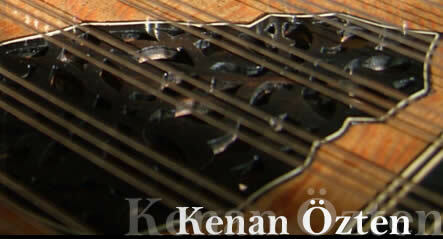 Quanun STRINGS: Known for their meticulousness and works as researches, Kenan Özten and Bernd Kürschner has been in corporation for long years. After some tests and studies in the laboratory, Quanun strings are categorized as below. 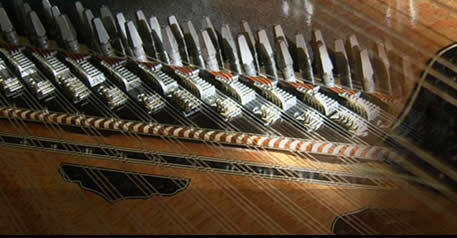 1.PVF Quanun strings have japanese roots. 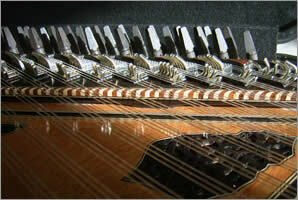 Its special tunes and frequences are calculated and for each sound, the intervals and measures are found. Although they are thinner than the nylon stings they last longer, their sound is bright, they are easy to tune and with this specifications they are a favorite of both amateur and professional musicians. 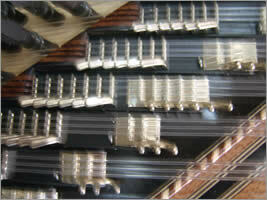 2.DUPONT This set of nylon strings is the economical alternative for years. 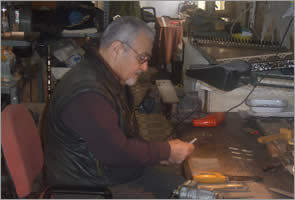 It is also possible to provide special lengths, wrapping strings in special lengths and intestine strings. 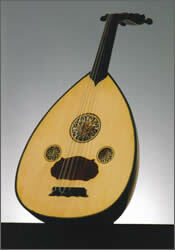 Oud Strings: Our oud string sets that are analyzed and calculated according to the Turkish tune, and whose G and D stings are prepared from PVC are demanded by both producers and players. The problems that occur in driving latches of old system the sounds, sizzles and resonances that occur while lowering the latches because of driving too much nails in the latch wood.- are avoided by placing the latches on a plastic track.